Chopped Liver Pate is a delicious treat that is easy to make, perfect for parties, the holidays, and has a light dinner. 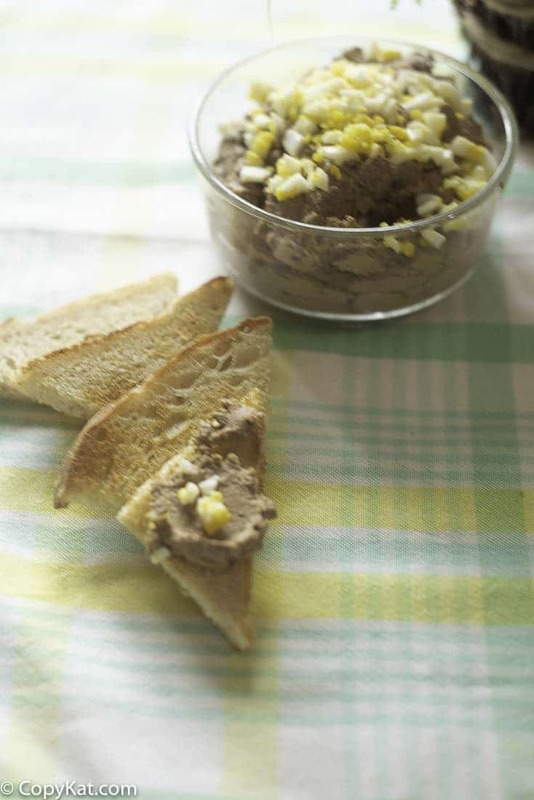 It’s easy to make chopped chicken liver pate. Are you looking for something special to serve at a party or gathering? 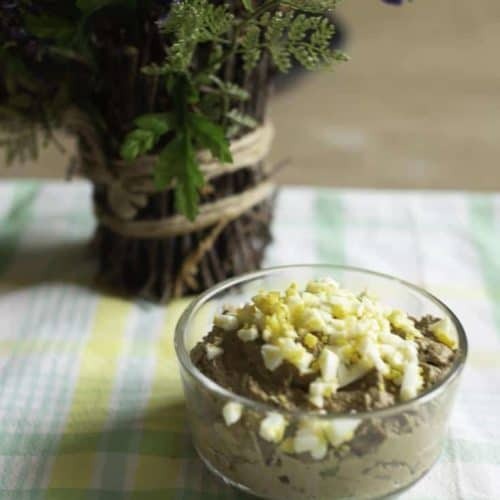 Chopped Chicken Liver Pate is the very easy to make, and it tastes so good. For me, Chopped Liver Pate is one of those dishes that I feel people think is very pretentious or too fancy to be enjoyed everyday. Chicken liver pate is not only super inexpensive to make, but it is very easy to make. Pate goes together perfectly with a glass of red wine. 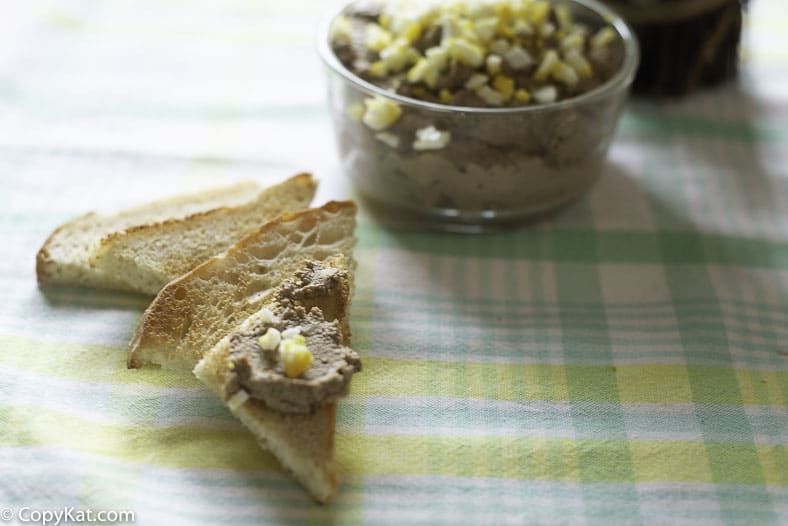 What do you need to make chopped liver pate? 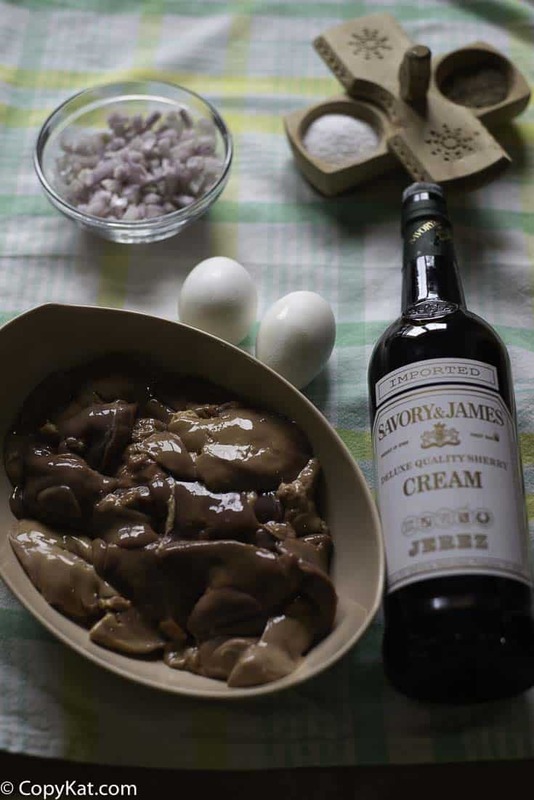 I like to use chicken livers, hard boiled eggs, chopped red onions, or shallots, salt, pepper, and dry Sherry. This recipe is very basic, but it’s very good. 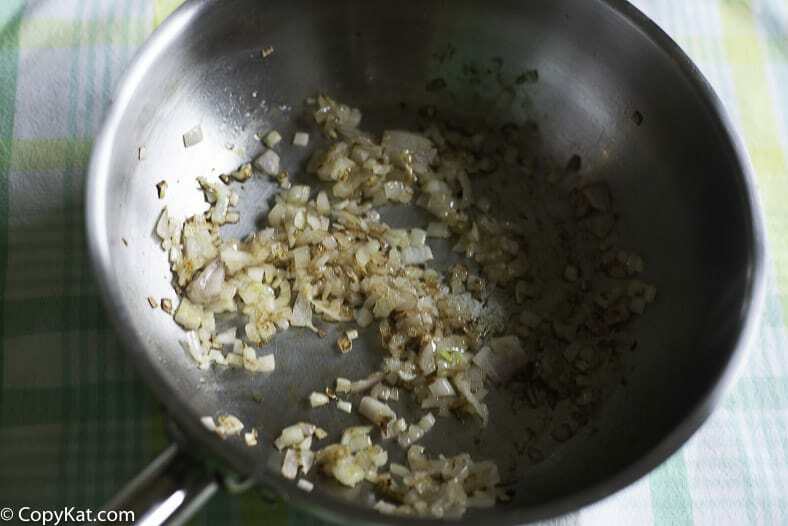 You will want to saute your finely chopped onion in either butter or olive oil. You will want to caramelize onions for the pate. By browning the onions you will get a lot of extra flavor. After your onions have just begun to caramelize you will want to add the chicken livers to the skillet. You will need to cook the livers through. 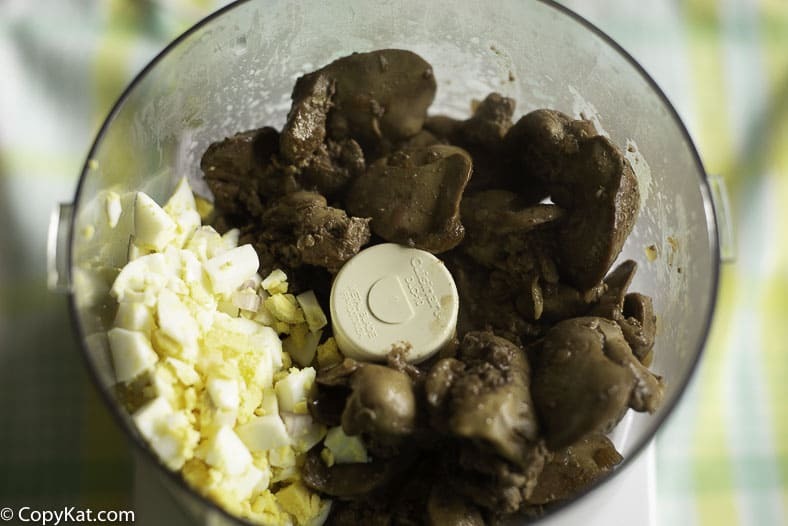 Once the chicken livers have been fully cooked it is time to pour the livers and onions into a food processor with some hard boiled eggs. 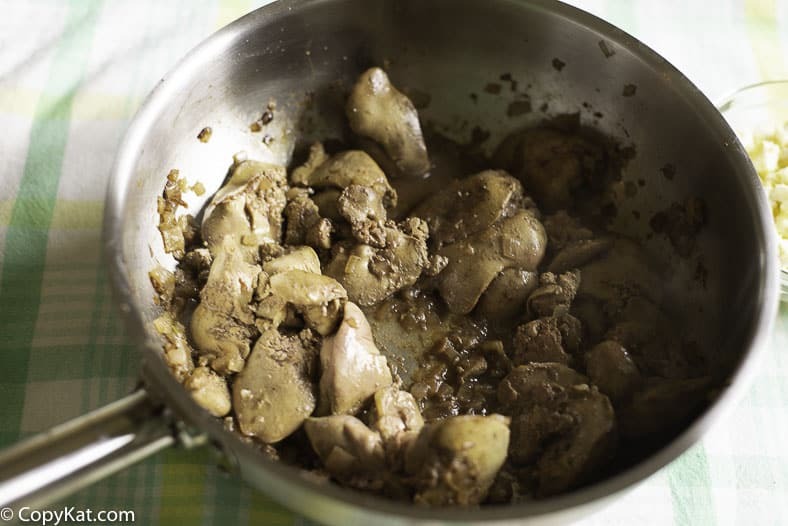 You will want to process the chicken livers until they are smooth. Just before I add the chicken livers back to the skillet, I like to deglaze the pan with a good splash of dry Sherry. This way you get to pick up all of the browned bits in the pan. After I add the processed livers, I like to stir them with the residual dry Sherry in the pan. Then you can pick up all of the flavor. I give the pate a quick taste, and adjust the salt. After this I will place the pate in a container, and refrigerate. I like to store chopped liver pate for a day or two before serving. It tastes better the 2nd day. Toast points are easy to prepare, and are a great bread to serve with pate. You could also serve pate with a fresh baguette, small sliced boiled potatoes, you may also want to serve this with a small meat and cheese plate. Chopped live pate is a great way to enjoy chicken livers. Saute onions in pan until they are golden brown. Add in washed chicken livers, and cook for approximately 15 minutes over medium heat. Once chicken livers are done remove the chicken livers. You can either chop the livers finely and 2 of the hard-boiled eggs, or run them through a grinder, or pulse them a few times in a food processor. You may want to deglaze the pan with some Marsala, you could use a little bit of chicken broth or even water. Scrape the pan clean. Add back the livers and egg mixture to the pan. Stir in the onions that you left behind in pan. Now place the entire mixture into a bowl and set in your refrigerator for at least two hours. Before serving chop the 1 remaining hard boiled egg and place on top of the chopped liver pate. Upgrade your chicken liver pate! 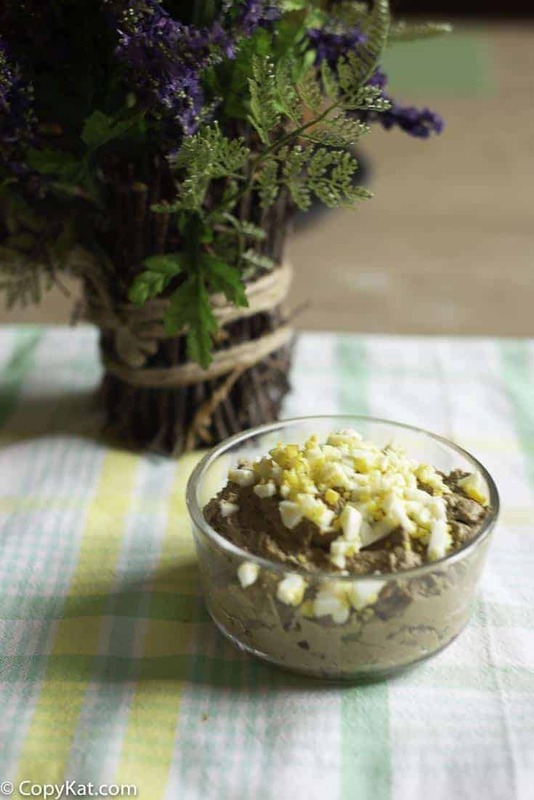 Make your chicken liver pate extra smooth and creamy by pushing the chicken livers through a fine mesh sieve. This was the best! Oh so easy!